Explain what "responsible pet ownership" means. Explain the correct way to obedience train a dog and what equipment you would need. Show with your dog any three of these commands: "come", "sit", "down", "heel", "stay", "fetch" or "get it", and "drop it". Discuss with your counselor the considerations and advantages of spaying or neutering your dog. Explain the precautions to take in handling a hurt dog. 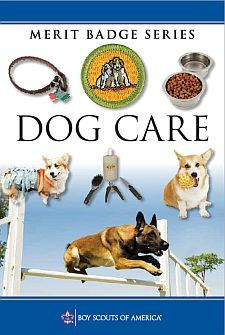 * The activities used to fulfill the requirements for the Dog Care merit badge may not be used to help fulfill the requirements for other merit badges.